Learn more about the Pareto principal and how it can transform your mindset in how you approach your work, your life, and most importantly, your finances. Every year, rather than coming up with New Year resolutions, I like to take a look back at the previous year and do a financial 80/20 analysis. An 80/20 analysis allows you to focus on two important areas: (1) The part of your financial life that is the most productive; and (2) the part of your financial life that is the most unproductive. You will then maximize the first and minimize the second. The Pareto principle has been around for awhile, but was made famous by Tim Ferriss in the past decade, and roughly states that 20% of one thing accounts for 80% of another thing. The Italian economist Vilfredo Pareto, who coined the phrase in the late 19th century, observed that approximately 80% of the land in Italy was owned by 20% of the population. Similarly about 20% of the peapods in his garden contained 80% of the peas. I think you’ll find this to be true in your own life as well. 20% of your clients account for 80% of your billable hours. When you start looking at your life through this lens, it quickly becomes obvious that you should focus your time and energy on the areas that will give you the greatest return. It equally follows that you should de-emphasize the activities that do not generate a sufficient return. They simply don’t matter. My favorite preference is to simply ignore them. You’d be surprised how effective you can be by dropping the ball. Throughout your life many people will try throwing balls at you (whether you asked for it or not). It’s simply not your responsibility to catch all of them. The first step in performing a financial 80/20 analysis is to get into the right mindset. That means closing open browser tabs and focusing on just your financial life. Sometimes I like to have paper and a pen nearby so I can scribble notes. Along with making sure you’re focused, it’s helpful to get motivated about the positive impact only a few small changes can make (you just have to find them). I’m always blown away by realizing that the vast majority of my time (i.e. up to 80% of it) is focused on things that really just aren’t that important. Let’s find out what’s actually important and do more of that. One of the first things I look at is my savings rate. Last year, 62.8% of my total savings came from brute force monthly savings. By that, I mean savings made after automatic retirement contributions taken out of my paycheck. If you include retirement contributions, 83.3% of my total savings came from automatic monthly savings where I took myself out of the equation and let the computers make the monthly transfers. The other 16.7% of my total savings came from times when I found myself with excess money (for whatever reason) and made manual transfers into my taxable savings account. Faced with a choice between putting a sticky note on my computer reminding me to manually transfer more money each month or simply upping my automatic contributions, the decision that’s the most effective is pretty obvious. Given that a new raise will be kicking in this month, I’ve already made the changes to ensure I’ll be saving even more this year than last by having the vast majority of my paycheck deposited in my Vanguard account. Not bad for 20% of my effort! Obviously, I haven’t yet completed my 2017 tax return (more on that in a future post) but looking at last year’s return, I have a rough idea of how much I’ll be paying this year. When I look at my expenses holistically, the first thing I notice is that 53% of my total expenses went to federal, state and city income and FICA taxes. While not quite 80%, that’s a huge chunk of cash. The next biggest expense (rent) only accounted for 20.3% of my total spending. I’m calculating these numbers by including taxes plus all consumer spending in the denominator. I like to think of taxes as spending and include them when calculating my savings rate as well. This forces you to treat taxes as your greatest expense and think about ways of optimizing your tax situation rather than making calculations “after-tax” which leads to ignoring the impact of taxes on your savings rate/spending. The 80/20 look at taxes emphasizes that if I want to focus on the area where I can get the greatest return, I should be looking for ways to minimize my tax spending. This is exactly why each year I spend some time doing tax planning. For a beginner, it can be as easy as making sure you are using all of your tax-advantaged space prior to contributing to a taxable account or paying down student loans. For others, it might be thinking about asset location to ensure that you’ve minimized your tax drag. Still many more can benefit from learning more about the tax code to ensure they’re taking full advantage of all tax deductions. Some of you might even start a side business to generate some extra income while also deducting business expenses! 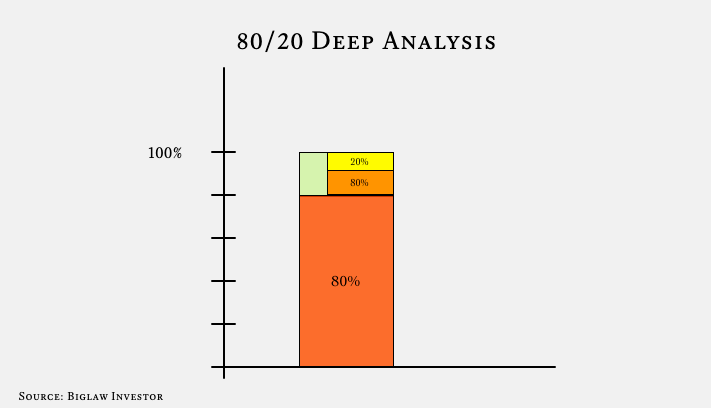 Another interesting quirk of the 80/20 analysis, is that usually you can drill even deeper into a category and see additional 80/20 opportunities. For example, if I just look at my taxes, I see that 59.9% of total taxes paid were federal taxes. So if I want to focus on one area where I should reduce my tax burden, federal taxes is probably the place to start. A less productive use of my time (although still productive) would be figuring out ways to reduce state and city taxes. Using the principle of a deeper 80/20 analysis, I can also look at just my consumer spending and see that 43.4% of my spending went to housing costs. If I wanted to reduce consumer spending, I should probably move to a different location. Of course we won’t be doing that this year as we like our apartment and current setup, but clearly the most progress would be made if we could somehow knock that down. Perhaps we should start renting out our apartment on Airbnb like this lawyer! Likewise, I can think about my entertainment expenses and realize that basically only 20% of my entertainment options (Netflix) count for 80% of my overall entertainment. I could continue to apply this to other categories, but you get the point. Humans are repetitive creatures that prefer to perform the same patterns over and over again. If that sounds like you, chances are pretty good that you’ve got some consumer spending (i.e. maybe as much as 80%) that only contributes 20% to your happiness (or that you only use 20% of the time). Those types of expenses may or may not be worth keeping. That’s one of the great things about personal finance. It’s personal to you. Once you’ve thought about your own financial life, the next step is to simply apply the leverage appropriately. 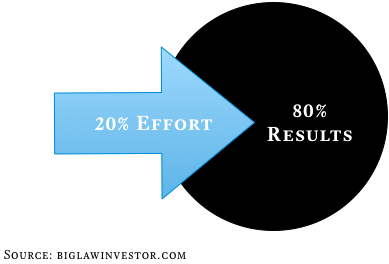 The 20% of effort you can apply to get the 80% results you desire? That’s your to do list. Just as important, the 20% of things that are causing you the most problems. That’s your do not do list. Figure out how to eliminate, delegate or automate those activities so that you don’t have to deal with them. From my life, I can tell you the most surprisingly effective thing I did last year was create a debt paper chain and hang it in my living room. I set out at the beginning of last year to repay from cash flow the approximately $80K remaining balance on my student loans after deciding I was tired of dealing with them and wanted to be debt free. I challenged myself to do it out of monthly cash flow so that I’d keep my motivation in the right place. I created the chain to remind me of my progress and to subtly push me to make extra payments, since I cut up and threw away each chain for every $1,000 payment. While admittedly not everyone wants to have a debt chain hanging in their living room, I’m surprised at its effectiveness. I had to make a few tweaks in my spending to make sure I was throwing enough money toward the loans to reach the goal. In the end, I found it very satisfying to cut off the last chain. Plus, being debt free isn’t too bad either. Let’s talk about it. Have you applied the 80/20 principles to your financial life? What tactics have you found to be the most successful? Which are wasting your time and effort? Comment below! Although I do spend time tax planning and I make sure to max out all of my pre-tax accounts, I tend to spend most of the year looking at things on an after tax basis. Thanks for making me realize it would be good to look at this through a different lens a bit more oftent. Get on that backdoor Roth IRA! I also prefer to calculate my savings rate with taxes included as an expense, because without doing so I wouldn’t be as driven to search for deductions and credits. Our federal, state, and local income taxes and other payroll deductions consume about 22-23% of our gross income – before we claim all or deductions and credits – and it turns out that this is about tied with my student loans for our single largest expense! After we take into account every deduction and credit, we’re in the ballpark of 11-13% of our gross income, which still leaves taxes as our second largest expense (about tied with mortgage). But that is FAR preferable to 22-23%, and even a few percentage points better than the standard deduction only. And it takes only a couple hours of work scattered throughout the year! The 80/20 rule is strong with taxes. What’s also kind of amazing is people who pay 15-20% of their gross income to the government and yet only save 10% for themselves. That means the government is getting ahead faster than you are! I’m pro-government (after all, it’s the cost of civilization) but you should be getting a better deal than the government. Interesting that your taxes are about tied with your mortgage. It was a big awakening moment for me when I realized how taxes were by far my greatest expense. Again, not because I’m unhappy to pay them, but just because I realized I should be focusing a little more on making sure they’re optimized. Great to point out the taxes. Whenever I ask anyone what their biggest expense is, no one ever says its taxes. Since the feds and the state take it out before hand, people don’t even realize that they’re paying it. Putting the effort into reducing your taxable income through tax-deferred savings is an easy way to save a ton of money quickly. 80/20 is an interesting theory. It goes beyond just a theory because it truly can be used as an efficiency gauge in so many areas of life. I find it most useful at work. 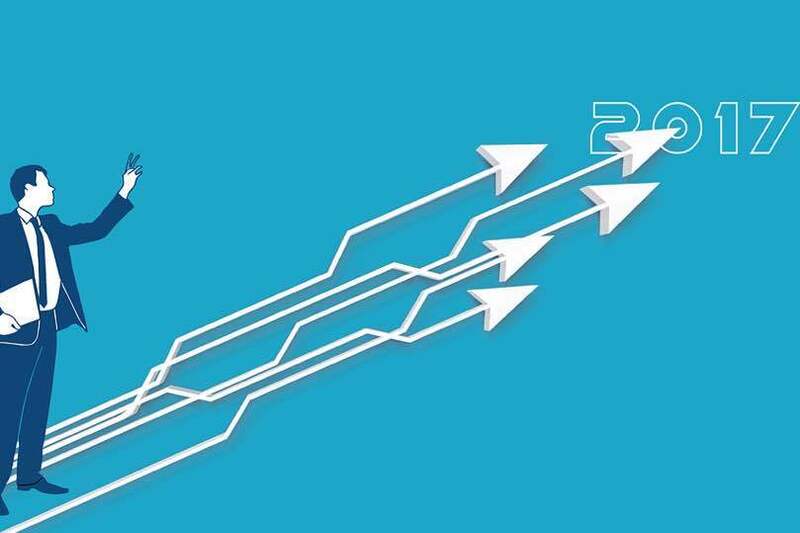 Are employees spending 80% of their time on 20% of their job? It can be used for so much great analysis. Great imagery! And a important lesson. Even good things can distract us from what we actually want to accomplish.